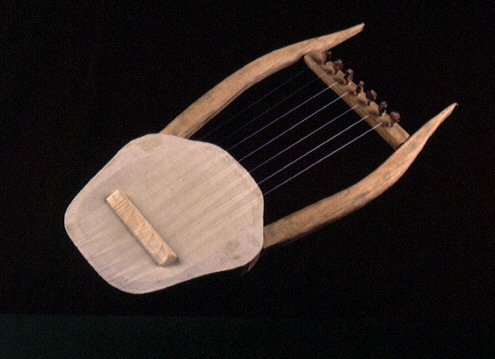 Used in classical Athens, the Chelys-Lyra is a lyre consisting of a tortoise-shell sound compartment with skin stretched over the opening. Two bars with a crossbar attached extend from the shell and hold the strings. 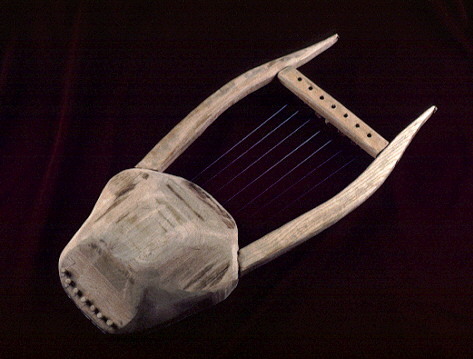 Compared to other Greek instruments of the time, the Chelys-Lyra was small and light, a versatile instrument which could be played sitting, standing or walking. It was played by both men and women, although it is most often depicted in art being played by a man.